If the divorced and remarried can receive Holy Communion, why should they not be permitted to remarry in a Catholic Church? This is about 'access to the Sacraments', right? So if they can receive the Eucharist, the Church could, having thrown off all respect for Canon Law, permit them to marry in a Catholic Church as well. Both are Sacraments of the Church so why give one and refuse the other? Because Jesus said X, Y, Z? Well, 'who is He to judge' in the new, humble, merciful Church? Jesus doesn't judge anything anymore, right? Not in 2015. You might well argue, well if what Jesus said no longer applies then why should the Church encourage or even insist on marriage in the first place, but, of course, that's the real outcome, isn't it? The weakening of marriage and the disregarding of the sacredness of marriage as a Sacrament. What could the Church of 2020 or 2040 look like? It could look like something a bit like I have described above because, remember, to the 'great reformers' nothing is really sacred or fixed, nothing is holy or immovable. No doctrine, however important it was, is too important now not to be reconsidered. All laws and customs and doctrines are in the way of modern man's personal fulfillment. Even the words of Jesus just 'get in the way'. Now we've considered the unthinkable with clear 'blue-sky thinking', let's consider the thinkable. A couple go to one priest and make their situation known to him. They cannot remarry in a Catholic Church but they have remarried civilly, having been unable to regularise their situation with the Church because of a previous marriage. According to the law of the Church they are living in adultery. The woman, who is Catholic, while the man is not, would like to receive Holy Communion. Unsure, they approach one parish priest. He says, "According to the words of Jesus Christ, I cannot in conscience give you Holy Communion because of your remarriage contracted civilly. I urge you, in all charity, to consider your situation and strive to live as the Church requires in order to be in full communion with Jesus Christ and His Church." The Synod under Pope Francis has been ambiguous in its application of doctrine and has essentially given to Dioceses in individual countries a devolved Magisterium that applies a pastoral solution to marital situations that are irregular or sinful. She and her new husband, according to civil law, approach a parish priest down the road at another nearby Catholic Church and ask him the same question. The parish priest replies that because of the merciful and pastoral approach adopted by the Synod and Pope Francis, "there is no question as to whether she can receive Holy Communion, because God is merciful. All are welcome." Thus there are two Churches within the Bride of Christ. A real schism that has taken place, not just within the Episcopate with Bishop disagreeing with Bishop, but priest disagreeing with priest. Is this situation tenable or workable? What happens to the 'unmerciful priest' when the Bishop hears of the dispute? Whose side does he take? This is the most divisive and destructive thing to have happened in the history of the Catholic Church. Is the 'unmerciful priest' sacked? Can he be a priest in this new twin-Church? We have seen, with the liturgy, a bizarre and widening rift in Catholic worship, not just since the release of Summorum Pontificum, but also within the Novus Ordo itself. You can attend one Novus Ordo Mass wherein guitars, drums and other musical instruments play catchy folksy hymns while the priest ad-libs parts of the Mass, encourages hand-holding at the Our Father, preaches an easy going social Gospel and all kinds of strange innovations take place. Down the road, you can go to another Novus Ordo Mass with reverent liturgy, perhaps the priest facing Ad Orientem, with Extraordinary Ministers of Holy Communion overlooked in favour of the priest alone distributing the Blessed Sacrament, perhaps the correct Gregorian Chant selected to be sung by a choir, Communion is received kneeling and on the tongue, the priest saying the black and doing the red according to the rubrics. 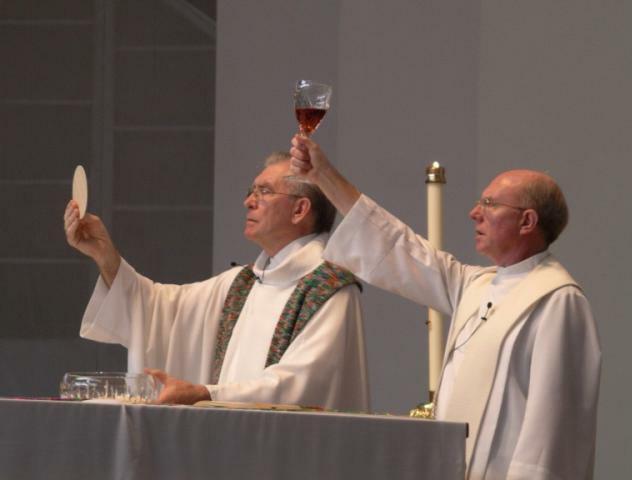 These are, essentially two different Churches with the same, but vastly differently celebrated, Mass, with the same Body and Blood of Christ in the hands of the priest. Essentially, we already have twin Churches in the liturgy. The risk embraced by the Synod on the Family is that of creating a twin Church in doctrine and how it is applied. Not only priests, but lay-people will no longer know which Church is the true Church, the true Faith, the one in which Christ's words are upheld, or the one fostered, nurtured and born from the Synod on the Family under Pope Francis, which dispenses with all law and hands doctrinal application into the hands of Bishops, some of whom go along with it, and others of whom cannot. Read: total and utter anarchy and a Church that cannot teach the truth because it has been dispensed with and overlooked as unimportant. Can Twin Churches Exist and still be part of One True Church? A house divided cannot stand. I cannot see how these twin churches can co-exist without rancour and total division - we can forget about unity within the Church, because this would be an earthquake, a rending apart of the Body of Christ, a rupture of biblical proportions within the Bride of Christ, all because a Pope went AWOL on doctrine and couldn't bring himself to side with the Word of God. This would be a real wound within the Body of Christ on the ground, not just in Rome. This is all hypothetical, but we are not dealing with a theory, but reality. Cardinal Raymond Burke said this is hypothetical, but someone in Rome - preferably the Pope - needs to think this through and needs to see the obvious reasons why a top-down change, any change, even pastorally-speaking, in the Church's approach to the divorced and remarried with regard to the Sacraments, cannot happen without engendering a schism never before witnessed in the Church's history. We have seen, under Pope Francis, that traditional bishops are sidelined or even cast aside, 'sacked' if you will. We have seen an entire Order destroyed by the whim of the Pope who simply doesn't like their traditional outlook and worship. What happens to 'traditional priests' who 'conservative' in their belief, actually believe in conserving and proclaiming what Jesus teaches, rather than teaching, not a half-truth, but a lie concerning marriage? Sadly, I think they are priests forever, but not for long in the institution of the Catholic Church on Earth. They might not need to go into hiding, but they might want to start looking at rightmove.co.uk for a new place to live. 'Unmerciful priests' won't be in their Presbytery for long if they, like faithful Bishops, are discovered to be a vulnerable minority. That is why not just a few Bishops and Cardinals, but all Bishops and Cardinals must oppose, for the unity of the Church and the salvation of souls, any dilution or alteration to the Church's teachings, on paper and in reality, because the reality if it goes unopposed, will be a living nightmare. The Body of Christ would be torn asunder, torn into pieces. 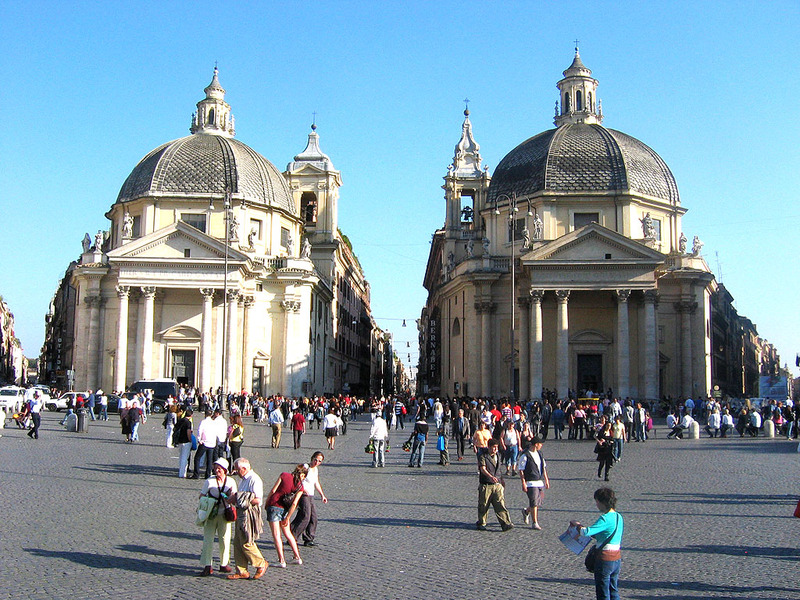 Are you looking for the One, Holy, Catholic and Apostolic Church? If this Synod goes any other way than remaining faithful to the words of Jesus Christ, you'll need to look incredibly hard to find it. It is so easy for Cardinal Marx to call the 'little ones' who hold to Jesus Christ's teaching "terrorists", isn't it? Of course, we all know that Governments can do what terrorists do ten, a hundred times over and say, 'We are justified, we are beyond reproach'. Why? Because they are the ones in power. What he isn't telling you is that the real Reign of Terror has only just begun. Not for the first time in history, the Marxists won't go unopposed. One man's terrorist is another man's freedom fighter. Your banner is liberty, equality and fraternity. We will fight under the banner, 'the Word of God'. Victory, honour, power and glory and salvation belong to Him. I know liberals don't trust Scripture but why fight, Your Eminence, for the losing 'Team'? As Bob Dylan sang in his 'Masters of War', "All the money in the world, won't buy back your soul". Perhaps you think that what you have written is 'hypothetical'. It is not. It is concrete and real, and it is exactly where we are headed. In addition, if 'pastoral' but heretical changes are enacted or even given credence in the documents of the 'Synod on the Family' it will open the floodgates for other changes regarding the Liturgy and the meaning of the Sacraments. It will be the beginning of the end of the Church as we know it. The true Church will be underground. The time is coming when each of us will have to decide which Church we believe in: the 'Francis Church' which is devoid of all supernatural content, of the true Eternal church given to us by Christ through the Holy Spirit. Today Bishop Athanasius Schneider called for true Catholics to band together in the Faith. Yo better believe it. Rather than tow churches, one can have the rich diversity of Catholicism. You mention variations in the OF. what about Latin mass in both the EF and OF, both widely available. there is Latin mass every day at Westminster Cathedral If the EF is too modern for you, there are the4 various Eastern Rite liturgies in the Catholic church such as the Chaldean and Ukrainian. there are also such rites as the Ordinariate- very reverent and the Dominican. Good pastoral practice might also mean communion for the divorced otherwise you saying marriage breakdown is the only unforgivable sin. The Orthodox allow remarriage and they are more trad than Pius X. Does the scenario I wrote about support the Catholic definition of what the Church actually is? And you cannot have a rich diversity of truth. We cannot endorse moral relativism. There can never be a dichotomy between doxy and praxis. In this hypothetical situation, which could well come to play, one would have to stand up for Jesus and the Truth, one's Divine Duty has priority to obedience to the Pope/Bishops. Robert, you misunderstand the natur eof the division in the Church. we are not talking about Liturgical preferences, we are witnessing the breakdown of dogma that the Church has held for two thousand years. One cannot have it both ways. Either you believe the revealed Truth as Jesus gave it to us in the Church or you accede to heresy. No one has the right to supercede what Truth is as it has been given by Christ, through the Holy Spirit,including a pope. In my view, divorced and remarried "Catholics" are receiving communion today. In my family, I know they are and I know others who aren't doing so could easily be doing so because the priest (lay woman more like) doesn't even know who they are giving communion to on any given Sunday. This will just make the de facto situation de jure (i.e. in case anyone complains). Also, your scenario is unlikely to happen. After Humanae Vitae (that great upholder of Church doctrine) priests in U.S. were called together at parish level and told by senior pastor that "all had to be on same page" in the confessional, i.e. some priests couldn't say habitual use of artificial b.c. was a sin that prevented receiving communion while other priests said it was a matter of individual conscience. So that they would all be 'on the same page', all priests were told to say it was a matter of individual conscience -- this is the de facto state in AmChurch (sounds like in Argentina, Germany etc.) in most dioceses. After Bergoglio it will become state in all dioceses. A good article Bones. If I could just add two comments. What we can call traditional Catholicism and the new brand of Relativised Catholicism being pushed by the Kasper factions, are incompatible. There is no other way of putting it. The present “silent “ schism will almost certainly slide into an open schism, a new reformation, unless the Magisterium is clearly re-confirmed. Also there is a mentality developing on the part of the Relativists. The word ”fascism” comes perhaps too easily to mind. Nevertheless, a fascist mindset, in the sense of imposing their ideas in an authoritarian and intolerant way, is undoubtedly emerging on the part of the Kasper/Relativist factions, and Catholics in Continuity must stand up to this clearly, fearlessly and publicly. The second session of the Family will largely decide whether this schism comes about. I do not know if many are ready for the reality of many bishops abdicating their responsibility before Christ to uphold doctrine and resist heresy in very high ecclesiastical places. Let us pray hard for all priests especially, as their responsibility to take a stand for Christ is the greatest. You only need look to Anglicanism for the practical lesson. You will then note how the orthodox are first tolerated, then despised and then driven out. You cannot serve two masters...when mercy is optional the priest not choosing it is seen as a nasty bit of work. The parish priest replies that because of the merciful and pastoral approach adopted by the Synod and Pope Francis, "there is no question as to whether she can receive Holy Communion, because God is merciful. All are welcome." A position that many parish priests already take, very sadly. Robert - you are rather confused on a number of counts I'm afraid. Have you rec'd your monkey survey yet? Robert, you said: "The Orthodox allow remarriage and they are more trad than Pius X." The "Orthodox" allow remarriage because they are heretics. They rejected Christ's teaching in order to conform to the world during the reign of the emperor Justinian. They are proof that an ancient liturgy alone is not sufficient in and of itself to have the fullness of the catholic faith, and they are certainly no example for the Church of God to follow. Answer: yes, it is called Anglicanism.Thank-you Pope Francis! What happened in the Church in the 1960s and 1970s was hugely destructive. 1978-2013 represented the start of a recovery as John Paul II and Benedict XVI began the process of restating the teaching and authority of the Magisterium. It is always easier and quicker to destroy than to rebuild and that work remained very incomplete at Benedict's abdication. For whatever reason Pope Francis has veered off along a different path, which has seen, if you like, the cracks which the last two Popes had covered over, exposed to daylight. After the 2014 Synod we can see very clearly that there are great divisions in the Church and bishops in particular are having to take a stand. While it is a very difficult period I think it is one that was always going to have to be gone through as Truth and relativism confronted each other. While I wish we had a better Pope (and this one certainly needs respectful correction of the sort that Cardinals Burke & Muller have provided) I think it is premature to talk of schism & separation. Unless he is totally stupid he will have taken note of the opposition Kasper's thesis has met. I thought it significant that the man who wants only to be bishop of Rome suddenly rediscovered the role and authority of the papacy when his views were challenged- he may yet start to be a proper Pope. Robert: I think you are confused. We are not talking about refusing communion to those who have separated or divorced. We are talking about refusing communion to those who are in adulterous relationships which they are persisting in and have made a declaration that they will persist in by having a civil marriage. Of course their sins can be forgiven and they can go to communion thereafter. But in order for their sins to be forgiven in confession they have to have a firm purpose of amendment i.e. that they are not going to go on committing adultery which means no more sexual relationships outside their first marriage. Unless you have that firm purpose then any absolution does not work and you remain in mortal sin which precludes you from going to communion. Just read the prayers that the priest says immediately after the Agnus Dei to understand what happens if you receive communion in such circumstances. Further there is the question of scandal if people in a second marriage, without an annulment, are seen going to communion. Yes people find themselves in very difficult circumstances and one can sympathise with them but at least do not deceive them as to the truth of their situation. They have been allowed, by Divine Providence, to flourish; they have received divine protection and favor in the face of persecution and hatred; they have been vilified and calumniated by those leading the flock away from the Divine Shepherd. I once regarded them as dangerous and crazy...I now regard them differently, and am taking a 2nd, 3rd, and 4th look. They may in fact turn out to be Pella. "...and the woman fled into the wilderness, where she has a place prepared by God, in which she is to be nourished..."
"...that she might fly from the serpent into the wilderness, to the place where she is to be nourished for a time, and times, and half a time." Catholic Bishops’ Conference of England and Wales has just sent out an email requesting a response from the laity in preparation for the October Synod. I am reading it at the moment. My initial take is that they quote a lot from Pope Francis and those quotes seem to be supportive of the status quo. However even if his words that they quote are orthodox it is his actions that seem to be undermining of that orthodoxy. We must consider all this carefully and respond forcibly and convincingly. Into battle!!! Anonymous: Regrettably, here in the UK, Cardinal Heenan, no less, said that the use of artificial contraception was a matter of conscience. I always thought he was solidly orthodox but he seemed to have slipped up badly in an interview. The consequences were disastrous. How about a mass pilgrimage to support orthodoxy as regards the family? A new Pilgrimage of Grace? Who could organise this? A matter of misinformed or bad conscience - and many bishops and priests and other leaders like him are responsible for misinformimg and misleading consciences. Does he reject his duty to teach and inform consciences? Our Lady of Akita said that 'bishop will oppose bishop and cardinal will oppose cardinal'. We are now at that point. The rest of what Our Lady said is even more worrying (fire will fall from the sky.. etc.) presumably as a result of the prophesied schism. This papacy is quite literally disastrous for the Church and the world. PS - Nicholas Bellord, count me in. Nicolas Bellord....I'll be there if you can do it! and by the way Bones....this is one of the clearest, BEST analyses of the situation we are now in that I've ever read. Your gift of writing through wisdom is getting clearer and sharper by the day. God bless you! I think you should both lead it. I'm getting a bit arthriticky for pilgrimages other than to the pub. But before you do, remember what happened to the leaders of the First Pilgrimage of Grace, hanging, beheading, drawing and quartering, even burnt at the stake. Not that they would go that far nowadays probably, but you never know. I mean a lot of things we would never have dreamt possible, have come about in the last fifty years? Receiving Our Lord Jesus Christ in a state of mortal sin is a most grevious mortal sin, sacrilege. If no one else is aware of your sacrilege, no one else is responsible or directly affected. However, if you have left your lawful spouse for life (and maybe ones children too), and this publicly known, it is manifest grave sin. Further, if you enter into a sexual relationship, cohabit with someone other than your true spouse, your ongoing adultery amounts to obstinate manifest grave sin, which scandalises many, leading them away from the truth and possibly in to sin. If the priest is aware of this obstinate manifest grave sin, he may not give you the Blessed Sacrament, as he would also be morally responsible for sacrilege, and misleading the adulterers and others who witness this sacrilege. 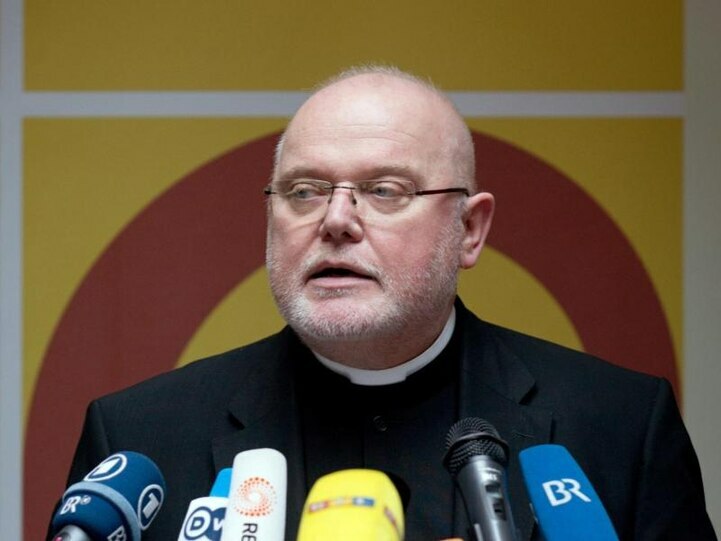 "During the Synod there had been moments of obvious manipulation on the part of some clerics who held key positions in the editorial and governing structure of the Synod. The interim report (Relatio post disceptationem) was clearly a prefabricated text with no reference to the actual statements of the Synod fathers. In the sections on homosexuality, sexuality and “divorced and remarried” with their admittance to the sacraments the text represents a radical neo-pagan ideology. This is the first time in Church history that such a heterodox text was actually published as a document of an official meeting of Catholic bishops under the guidance of a pope, even though the text only had a preliminary character." I agree with your concern. However, I would posit, as some others have below, that what we are seeing in the Synod is just the formal enacting of schismatic/heretical beliefs that have become very deeply ingrained in the vast majority of laity, priests, and prelates for decades now. That is to say, two "churches" already exist. The Synod is to a very real degree - at least if it concludes as most expect it to at this point, with some pastoral language bandage over a gaping doctrinal wound - simply a formal codification of that fact. And should this formal recognition come to pass, I fear very greatly what will happen to the remaining orthodox priests, bishops, religious orders, etc. The experience of the past 50 years - especially the early years of that period and now in its re-enactment decades later - is not good. It says they will be marginalized and quite possibly crushed, as we have seen with the FI's. Does the orthodox Church then go underground? What if they are told they are being disobedient to authority? How many will stand, then? Would such a claim of disobedience be reasonable under the circumstances? What I fear - and I pray Christ's promise to His Church makes this fear impossible - is that we will be forced to choose between being in "full communion" and holding the Faith as it has always been believed and practiced. Is that going too far? I don't see how it is, that is simply the logical conclusion of the very real schism that has already infected and inflicted the Church. In the interim, I had better pray a lot more than I have been. And I've been praying quite a bit. Jacobi, I shall be 68 soon. If I can demonstrate, you can. Martyrdom? Well at my age, I can't think of a better way to go (bypassing purgatory sounds good). I think that it was Bl. Nicholas Postgate (an old priest martyr and fellow Yorkshireman) who gave those who executed him such a 'verbal going over' that he cannot be considered for canonisation! I would copy Bl. Nicholas and maybe risk stopping at beatification in order to tell my persecutors a few 'home truths' on the way out. To get the awareness and open it to as many of the remnant as possible, one would need to get the backing of some orthodox bishops and priests, maybe a cardinal or two, and help of various orthodox Catholic organisations to spread the word to the faithful, through their databases of contacts. God bless. Or combine with Chartres? After reading your post it is for me very clearly that we are already in schism. If you want True Faith you have to pick and choose your Priest/Parish/Diocese. Dissenters have for long been teaching and preaching heresy and many so-called catholics have been living according with those doctrines. They have been "resisting" the Popes at least since 1968. The difference is these "dissenters" stayed formally inside the Church and have been strong enough to instill fear (and/or sympathy) in the weak hearts of our pastors while the bones of the "new resisters" will be crushed with the blessing and assistance of our Holy Father. Only 67? Just a youngster! Mark you martyrdom does sound a good idea. I expect to have to do quite some time and have always had a certain reservation towards Indulgences. Some intuition I've inherited from the Protestant side of the family I suspect. My favourite is Blessed Margaret Pole, an ancestor of a friend of mine. She strode around the platform lecturing the crowd on their iniquity in giving up the One True Faith, the Executioner pleading with her to behave herself and kneel down so he could do his job. He eventually just swiped her head off while she was in full cry. Will think about martyrdom over my whisky tonight! This is a brilliant piece of work that should be published as widely as possible. I love your acvount of blessed Margaret Pole. God send us more Catholics like her. As you say; there is one Church. One, Holy, Catholic and Apostolic. These Four Marks are a certainty. These four marks have been blotted out by the false church of Novus Ordoism which introducted new doctrine, new rites of 'ordination' (severing Apostolic succession - never mind, to Bergoglio everyone is a 'brother bishop), new worship and altered every other lesser sacrament. The new 'church' regocnizes as legitimate the Ecumenical, One-World Church (a synthesis of false-religions) - on this point alone the necessity of the Four Marks is annulled; Apolosticity is denied; unity - the One Mind of Doctrine, Discipline and Worship is denied, the universality of Gospel Truth is relagated to the particular and the relative (denied), and Holiness/True Sanctuary is dead in the water. "We must create groups of true Catholics, scholars, families, and clergy who will spread courageously the full Catholic truth, especially on the Church’s teachings on the family, on nature, and the commandments of God. "We should also create a movement of Catholic families, of “domestic churches”, to witness, defend and spread the integral faith and the teaching on family, marriage, and the order of nature. "We must, at this dangerous time, be courageous in illuminating the truly Gnostic and revolutionary character of the “Kasper agenda,” demonstrating the continuity of the Divine doctrine on marriage and its practice throughout the two thousand years of the history of our Church…"
The Martyrs of Nicomedia: Emperor Diocletian (some sources say he was the 666 beast due to the Greek abbreviation of his title on coins adding up) set up an altar with incense to be burned to a false god whilst having surrounded Christian worshipper at their church on Christmas Day with fire. The Martyrs of Nicomedia chose the flames rather than to obey Caesar, no matter what authority he claimed, they knew their faith. They held to It. We have, unadulterated, the Works and Teachings of the True Popes on earth and their intercession in Heaven (however much the false-popes and their false doctrines, disciplines and worship are trying very hard to blot out all memory of Truth). The chair is empty, the Novus Ordo Religion is a Pharisaic and parasitic usurper. It's still the Catholic Church, but that doesn't mean a great many, probably a majority of the cardinals, bishops, priests, as well as Pope Francis, aren't enemies of the One Holy and Apostolic Faith and the Moral Law. Let us find other faithful Catholics and support each other as we stay through to the Faith and God's Law in the face of the persecution and Great Apostasy from the Holy See down. Let our suffering and offering of same to Our Lord in reparation make us holier, and a light in the darkness. Let us call on all the new martys, whose ranks will grow ever greater, to intercede for us and the rebuilding of the true Church.